Britten Sinfonia is delighted to announce the selection of three shortlisted composers following an open call for submissions to OPUS2017. The shortlisted composers will attend a workshop with Nik Bärtsch and members of Britten Sinfonia, who will play their works and offer advice. One composer will be selected and their work will be premiered during At Lunch One in November. Find out a bit more about our shortlisted composers, Mark Bowler, Ben Corrigan and Daniel McDermott. Mark grew up on the coast of North Yorkshire and began his musical training with the RSCM Northern Cathedral Singers. He read Music Compositio n & Professional Practice at Coventry University under Martin Riley and Adrian Palka, graduating with Honours, First Class. In the years following graduation he continued to work with closely with Adrian Palka exploring the cross-arts possibilites of the Bow Chimes and Steel Cello (Robert Rutman’s sculpture-instruments) performing and installing works across the UK, Europe and Russia. 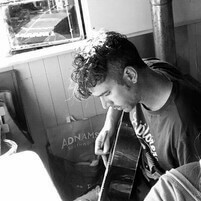 He later became a key player in Stamp Collective (Guildhall School of Music & Drama folk music ensemble) and is a founding member of folk collective Tribe of Tinkers. Mark now writes music for orchestra, chamber groups and vocal ensembles. Recent projects include work with Ligeti Quartet; Chapel Choir of Selwyn College, Cambridge; Bournemouth Sinfonietta Choir; Kaleidoscope Saxophone Quartet. He studies privately with John Lely and is joining the Guildhall Artist Masters programme in 2017. A London-based, Carlisle-born composer, Ben is working tirelessly to ensure he doesn’t have to return home. He moved to London to study composition at Trinity Laban where he discovered the wonders of electronic music, firmly embracing this as another compositional outlet. Working in a variety of musical contexts and with a number of different disciplines. 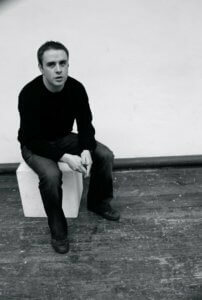 He regularly collaborates with contemporary dance, performing his electronic scores live alongside the choreography. Ben has worked internationally on several projects, most notably the Czech Lion nominated and HBO co-produced film, ‘Polednice’ (‘The Noonday Witch’), the score of which was awarded Best Music at Imagineindia Film Festival in Madrid. More recently, Ben was commissioned by the Swiss ensemble TaG as part of their ‘Next Generation’ programme. Ben is soon to step into the podcast realm and will be launching his music podcast, ‘Excuse the Mess’ in early September. Over the course of a day he will interview a guest composer as well as co-write a piece with them using only one instrument and electronic manipulations. 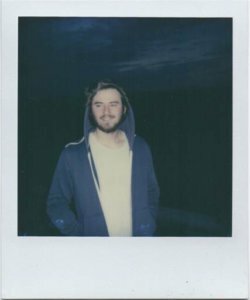 In his music, Ben is exploring the meeting ground between acoustic and electronic music and how they can inform each other. Daniel McDermott is an Irish composer, D.J, guitarist, pianist and producer. His music fuses elements of jazz, classical, world, minimal techno and electr onica. His output includes albums, remixes and modern classical pieces. He has achieved one scholarship in composition. His classical music has been selected by the Crash Ensemble for Free State 7, Free State 9 , Free State 10 and awards include the IMRO music award and the West Cork Chamber music award. He was listed as finalist in The Lake George Music festival in 2017. His music has also been selected for Derry/Londonderry City of Culture. He has released three electronica albums; his third, The Lullaby Wars was released on Psychonavigation records. His music has also been performed by many international performers from the world renowned Oud virtuoso Marina Toschich to The Crash Ensemble. The Irish Times has called his music: “true experimentation” and the AIC new music journal has said it is music which contains “beautifully imagined details”. His music has been broadcast on 2fm, Lyric Fm and various stations in the UK and Australia. He has performed internationally as a solo electronic artist and with a band. You can hear the winner’s piece receive its world premiere in At Lunch One in London, Cambridge and Norwich in November. You can also support the OPUS2017 commission through our Musically Gifted scheme.